Manufacturer of a wide range of products which include sea water desalination plant. 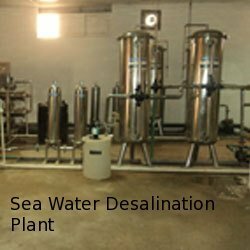 We are one of the manufacturers and suppliers of a wide assortment of Sea Water Desalination Plant. Most of the modern interest in desalination is focused on cost -effective ways of providing fresh water for human use. Desalination Plants uses large amount of energy. Looking for Sea Water Desalination Plant ?